We had the opportunity to attend Bath Digital Festival last week, and take part in a couple of events with a heavy focus on ethics in user research and design. 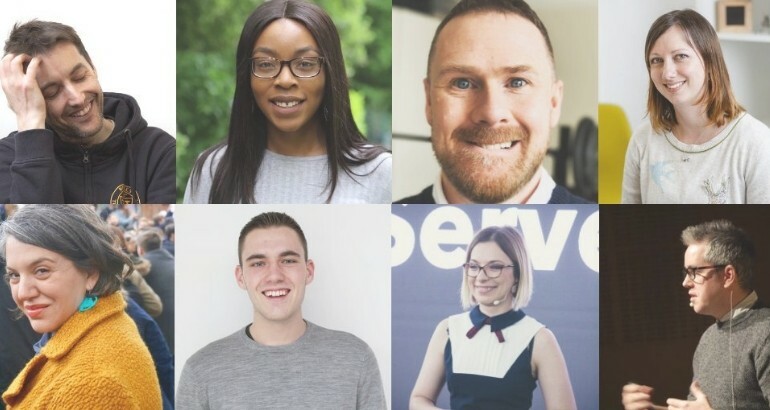 The Tech For Good Live team hosted a discussion panel on 25th October and, on the next day, we got to listen to some amazing talks at the All Dayer for Web Makers organised by Oliver Lindberg (founder of Pixel Pioneers). The Tech For Good Live panel (which will be turned into a podcast available here) was an interesting opportunity to witness an insightful and thought-provoking conversation about the responsibility that designers and developers have when creating products for the end users. Culture is key and you need to pick your battles. If you work for an awful company, you should leave. If your company’s culture encourages you to challenge your boss or other teams and you feel like you are being listened to, you should have the confidence to speak out. You’re not doing your best if you’re not educating your client – making a lot of money, but negatively influencing a group of users is not the ethical way to do things. Try this test: imagine if you would have to sit down with a user and explain why something you designed works the way it works. How comfortable would you be explaining it? The day after the panel discussion, we headed to Bath again to attend the All Dayer for Web Makers. The day started with a talk by Jonny Rae-Evans on ‘Designing for good, and the subtle art of not killing anyone’, with a focus on ethics and the importance of words: “it’s so dehumanising to use the term ‘user’ to refer to people, it affects the way we design and the things we make”. Jonny’s words were in perfect sync with this blog recently published by our Business Development Director, Jess Lewes, titled ‘User recruitment: What is a user anyway?’. After Jonny’s talk, it was time to listen to Melinda Klayman, UX Researcher at Google, who talked about ‘Understanding your next billion users’, a group comprised of emergent markets, emerging social groups and emerging adults. Melinda has been developing her research in India, an incredibly diverse country and the second largest market for internet users with over 400 million people online, with a special focus on Indian women and the specific challenges they face when accessing the internet. Desk research: it answers some questions, but also raises some doubts. It helps to refine hypothesis. Reach out: do remote studies and surveys remotely if you don’t have the option or budget to talk to the users face-to-face. If you have the budget, talk to a user recruitment agency. Immersions: there is nothing better than talking to people face-to-face. The best way to build empathy is to sit in somebody’s home and see how they live and what kind of challenges they face. However, it’s essential have the support of your stakeholders. The rest of the day included talks by Matt Curry, Head of Ecommerce at Lovehoney, and Software Engineer at Future Learn and STEM ambassador Tara Ojo, among other speakers. The day closed with a talk by Simona Cotin, Senior Developer Advocate at Microsoft, who talked about ‘Machine learning and the quest for building a better world’ and highlighted the presence of bias in artificial intelligence and how much work we still have ahead of us to make research and design truly ethical and inclusive.